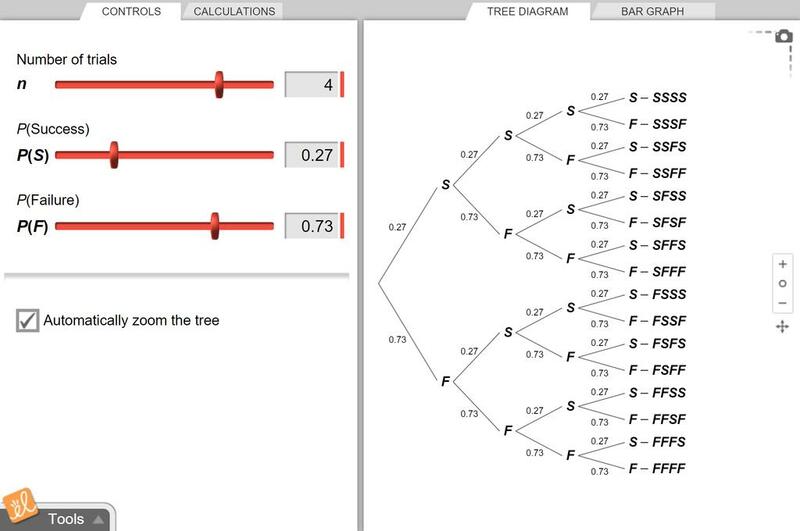 Find the probability of a number of successes or failures in a binomial experiment using a tree diagram, a bar graph, and direct calculation. This is a short work sheet that points out the real possibility of making multiple free throws, from a th... (more)eoretical stance. This Gizmo is great to use in AP Statistics as an intro to binomial probabilities and their distributions.